The guerilla artist who puts up his work in public spaces without asking authorisation is the subject of a new show in Madrid featuring his works -- without his authorisation. "Genius or Vandal?" opened Thursday at the Ifema centre in the Spanish capital and will run until March 10. It has already pulled in half a million visitors at its previous venues Moscow and Saint Petersburg, according to a statement from the organisers. 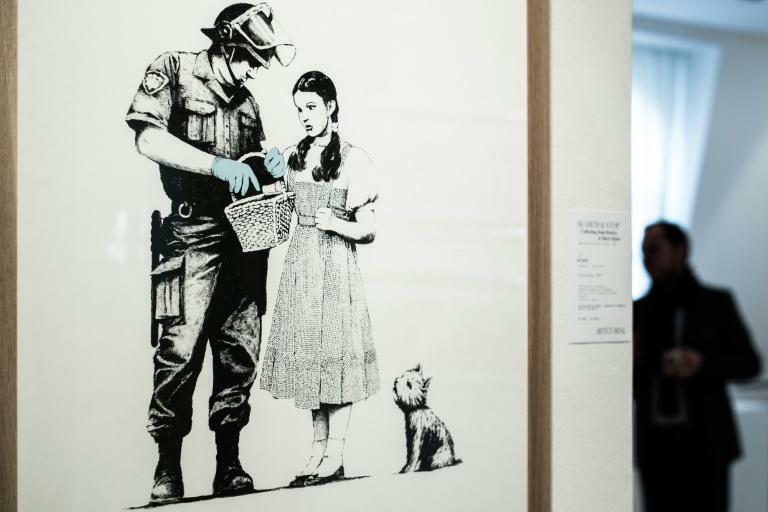 The show's curator Alexander Nachkebiya, who assembled the works from private collectors, describes Banksy as "a phenomenon and one of the most brilliant and important artist of our epoch". In August, Banksy used his Instagram account -- 5.1 million followers -- to make his position clear on the original Moscow show. He posted an exchange of messages between him and a follower who tipped him off to the unauthorised exhibition. Told they were charging a £20 ($25, 22 euro) entrance free, Bansky replied: "I wish I could find it funny. What's the opposite of LOL?" But at the suggestion that he put out a statement denouncing the fact that it was made to look like an official show, he replied: "...not sure I'm the best person to complain about people putting up pictures without getting permission." Nevertheless, his website does carry a message warning visitors about this and other shows. "They've been organised entirely without the artist's knowledge or involvement. Please treat them accordingly." 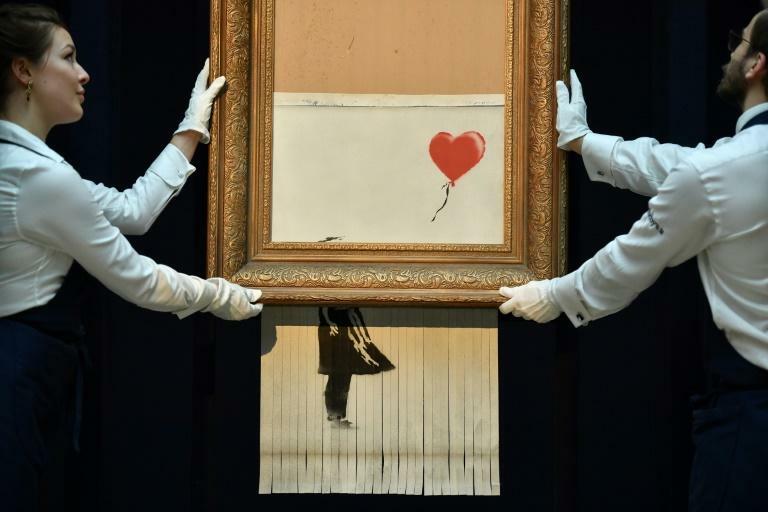 His most recent stunt was at the October auction of one of his works, "Girl with Balloon", at Sotheby's in London. Moments after it sold for £1,042,000 -- a joint record for the maverick artist -- it unexpectedly passed through a shredder hidden in the frame.